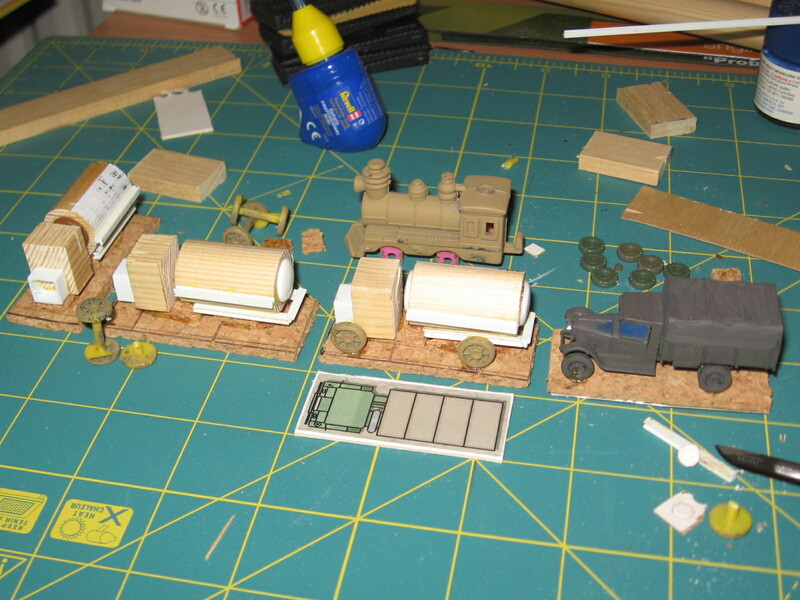 Inspired by Phil Steele’s Zis-5 (BZ) Tanker conversion, I did some enthusiastic rummaging around in my bits boxes (Suzanne calls it “the garage”) to drum up enough wheels for 3 trucks. These tankers will fill some of the holes in divisional orbats. 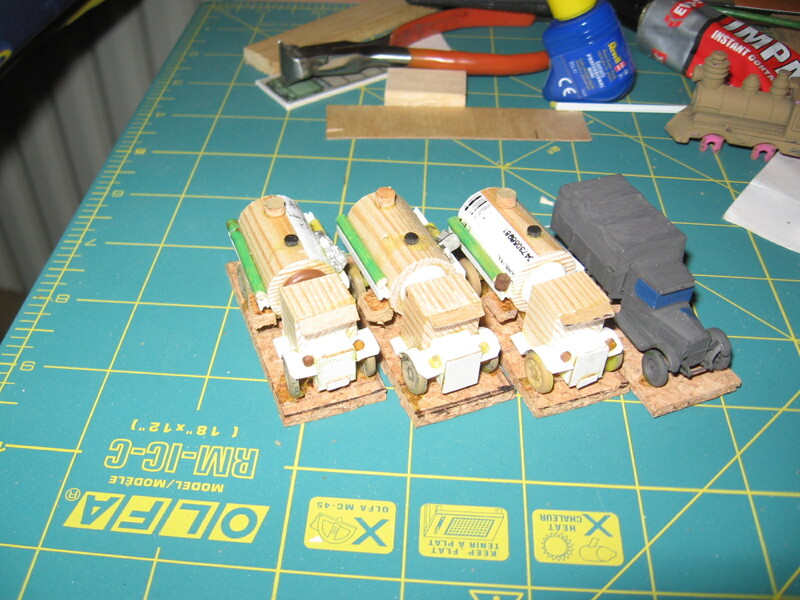 The thought and planning phase has occupied two months, but all three models were built in an afternoon. “That train boiler looks a bit like a tanker body”. Hmmm. Pictures of the painted tankers to follow. Very ingenious- good skills, bet they’ll look great after a coat of paint. How annoying that they look better than the actual kits I buy! That’s high praise coming from the master of extreme conversions, Phil.